DUB MACHINES is a bundle of two analog inspired DELAY PLUGINS in VST & AU formats across 32 and 64 bit operation for WINDOWS and OS X hosts. MODNETIC gives you four powerful effects in one: supreme analog emulated tape delay, extremely realistic spring reverb choices, bucket brigade chorus / flanger / phaser and classic tone. Analog sounding on the one hand, but digital clarity and impossible tricks on the other, such as classic digital phasers, reverse-tape and clickless realtime routing options. This is built solid enough for live performance as well as to transform your studio. 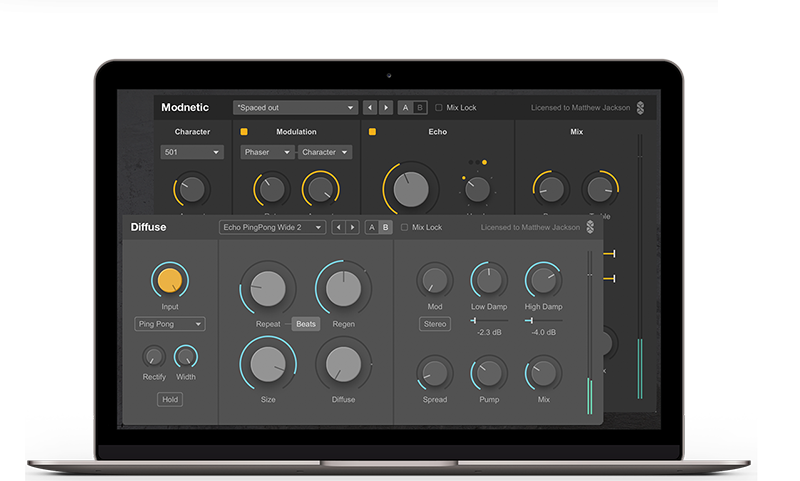 Compared to Magnetic for Max for Live, MODNETIC has been optimized from the ground up for better quality and performance, as well as a wider and new set of sounds. Get Modnetic for just just 69€! or as part of the Dub Machines bundle with Diffuse for only 99€ for a limited time! 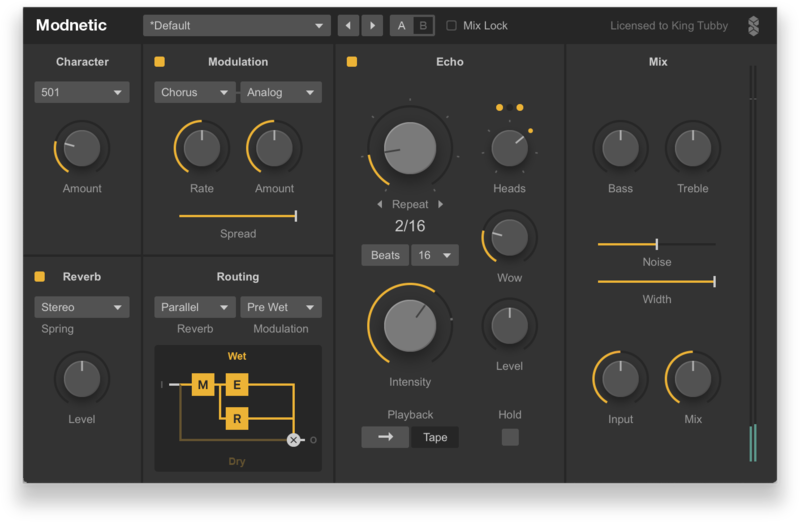 DIFFUSE is inspired by classic hardware delay and reverb effects from the 1970’s and 1980’s. It takes a Surreal Machines look at the frontier between delays and reverbs. DIFFUSE is an analog/digital hybrid - an analog modeled delay fused with a classic reverb design used in early digital units. Get Diffuse for just 49€! or as part of the Dub Machines bundle with Modnetic for 99€ for a limited time!